The AMD A6-9220 and A6-9225 (7th Gen) are lower-end processors (CPU) for laptop PCs. The dual-core CPUs are used mostly in affordable notebook models. 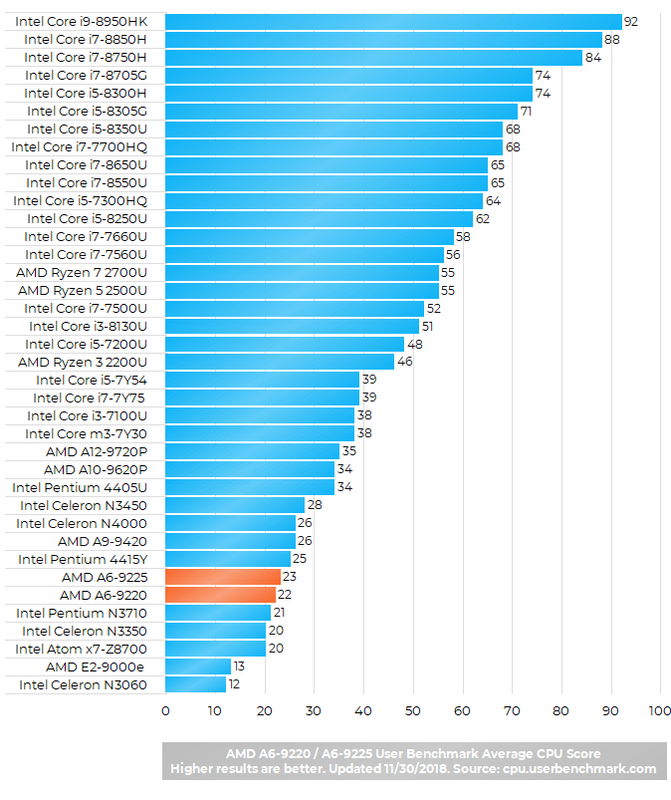 Performance-wise, the A6-9220 and A6-9225 are one level above basic CPUs, such as dual-core Intel Celeron or AMD E. On the other hand, the A6-9220 / A6-9225 are a level below the most popular (but pricier) mainstream notebook chips – the Intel Core i3 / i5 / i7 U-series. This means the A6 chips are a good yet inexpensive solutions for the regular daily computing tasks, like web browsing, media playback, or work in productivity-oriented apps. But, they will start to lag behind the Intel Core i-series as soon as you throw something more demanding on them, like editing videos or high-resolution photos. 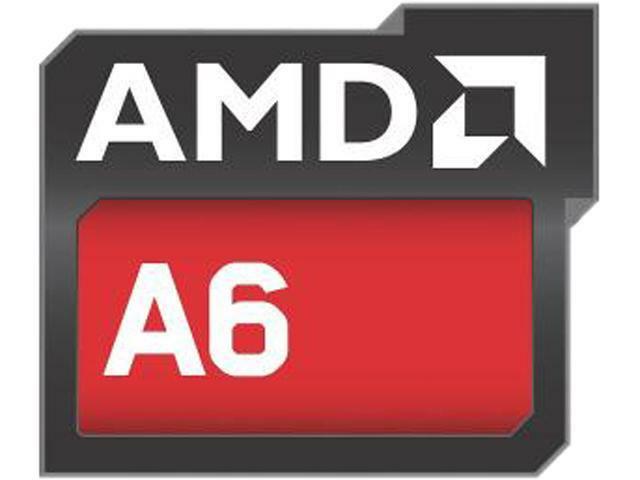 Differences between the A6-9220 and A6-9225 are minor. They have slightly different CPU and graphics clock speeds. The CPU part of the 9220 runs at 2.5 GHz base speed with bursts of up 2.9 GHz, while on the 9225 these speeds are 2.6 GHz and 3.1 GHz, respectively. This difference isn’t noticeable in the daily computing activities. As for graphics, the integrated Radeon R4 in the 9220 and 9225 is clocked at 655 MHz and 686 MHz, respectively, which is not a big gap. Regarding graphics performance, the Radeon R4 integrated graphics is a basic gaming solution. It is better than integrated graphics of the entry-level CPUs and similar to integrated graphics of the Intel Core i chips. Also, these AMD A6 chips and Intel Core i3, i5, i7 U series have the same power consumption of 15 Watts. What is the maximum RAM AMD A6-9225 can support? Also, Would it be able to support 2* 4gb DDR4 RAM modules? According to AMD, it is 8 GB, but only single channel, so one SODIMM only. L2 Cache is 1 MB shared.